Hanoi (VNA) - Vietnam has risen to fourth place among instant coffee exporters worldwide in 2015, with total expected shipment of 675,000 tonnes, up 25 percent from previous year, according to the Vietnam Coffee and Cocoa Association (VICOFA). In the past few years, instant coffee plants have sprouted up in the country as a result of an estimated one billion USD in investment that both domestic and foreign business poured into the sector. Those plants have consumed large volumes of coffee beans and boosted instant coffee exports. According to industry experts, the processing and export of instant coffee generates higher profits while creating jobs for local labourers. However, it is crucial to advertise and seek markets for Vietnamese instant coffee brands as the construction of processing plants requires large investment, they said, suggesting that the Government and VICOFA support coffee companies with promotion activities to expand markets for instant coffee. Instant coffee currently accounts for 14 percent of the world’s coffee consumption. The figure is forecasted to grow by an annual 3 percent in the next five years, leaving huge potential for Vietnamese instant coffee exports. 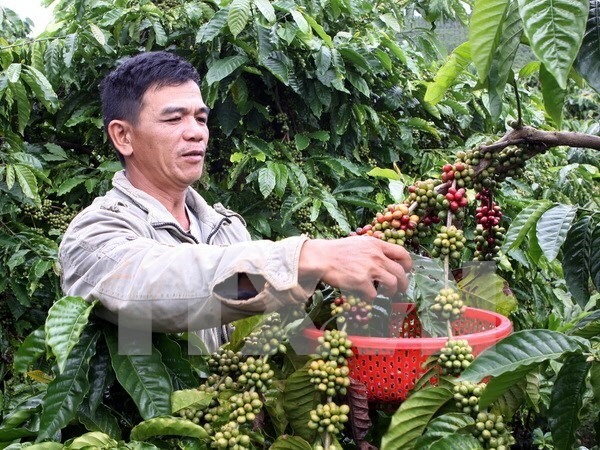 Vietnam is now home to 19 coffee processing plants, which can produce up to 75,280 tonnes of instant coffee per year. The Department of Agro-forestry, Fisheries and Salt ​Production under Ministry of Agriculture and Rural Development said that instead of setting up new processing plants, the Ministry will focus on renovating technology to increase products’ quality in the period from now to 2020.